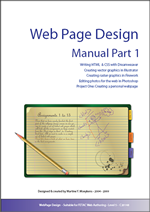 I am nearly done writing the first part of the WebDesign Manual for my students and so this page has a few screenshots with link to the real page in PDF. First the cover page which has gone through many stages and designs and I know that by the time it will be published it will have a different design, anyway here it is. I really enjoy writing the assignments, creating the designs, re-writing some of the assignments when they don't really add up when the students try them out and get stuck in front of the same parts of the assignment. I have done a lot of research when writing the manual especially about colours. Choosing colours for a website is an important part of design and an excellent application to choose a colour scheme is found on Colorschemedesigner created by Petr Stanicek (apologies for not writing the right accents on his name). I found the link to his website in a book from Sitepoint when his colorscheme application was in its previous incarnation on Wellstyled.com Here is a link to the pages of the manual where his application is being explained to my students. I got the permission from Petr Stanicek himself to publish the screenshots of his application in my book. Thanks Petr! At the moment I am writing the chapter on colours & images and it seems to be the one where I need to do the most research as I was not so well versed on colour systems. Sun, 7 June, 2009 22:12 I have introduced myself to the intricacies of writing xml for the purpose of writing an RSS page. The reason why I did a research about RSS is because it is a paragraph long in the ECDL version 5 course and since I will be teaching that new fangled thing of which I understood nothing until a few hours ago I told myself that I might as well go the whole way and learn how to code the xml page. The wikipage about RSS was well written and gave a link for a tutorial on a French site. I tried it out, then send it to a validator, fixed it, uploaded it but still it does not show the xml page when clicking on the button. Do I need to check this with my webhost? 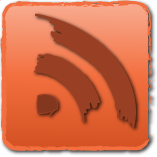 This is the logo I designed for my RSS Feeds. It was designed today just before I learned how to write the RSS feed in XML. I gave the curved lines a brush so that it looks a bit different from the original. 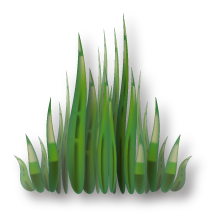 This logo is free to copy and re-use, change re-upload as long as you give it free to others!